Hurraw! lip balms are a heavenly, super smooth blend of premium raw, certified organic ingredients. Individually poured. Fair trade and certified vegan. 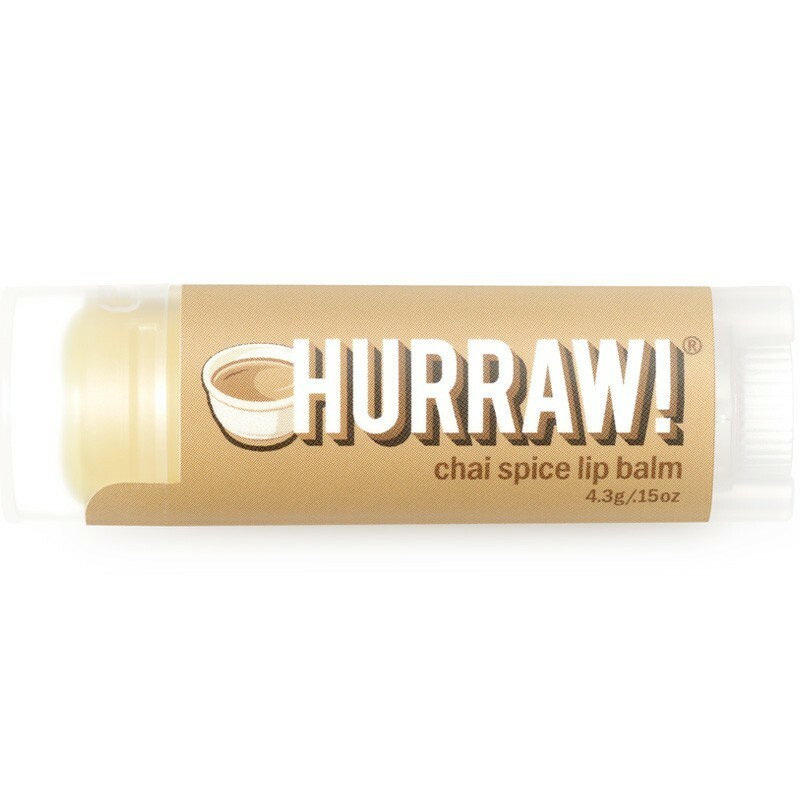 The chai spice lip balm is a blend of black pepper, cinnamon, clove, anise, and vanilla. Safflower seed oil*, sweet almond oil*, candelilla wax, cacao seed butter*, coconut oil*, castor seed oil*, jojoba seed oil*, olive fruit oil*, aroma, tocopherol, benzyl benzoate, cinnamaldehyde. *Organic ingredient.